I often recommend a free 10-day vipassana meditation course found at https://dhamma.org . Is it possible that there would be a 10-day meditation retreat that gives you food and lodging for free? Not only that, but would they refuse to accept money prior to taking such a 10-day meditation course? Is that possible? Of course it is possible! You see, they refuse to accept payments before you attend the course but allow you to donate for the next group after you finish. You may donate any amount or nothing at all and still come back for another visit next time. In this way, you are attending the course supported from the gifts of others, and you are helping the next group of students. You never pay for yourself and that is what is so beautiful about this system. 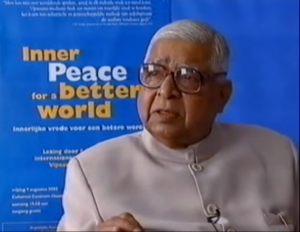 S.N Goenka says that when someone pays for you, you only have gratitude. This is why you never pay for yourself. As far as I know from talking with one center in Massachusetts, the centers, which are popping up all over the world, are never in the red (running a debt) and yet seem to get by with shoe-string budgets and volunteers. This is a place where one should go to learn the Dhamma through meditation and that is why I recommend it. I have done my first of these courses in 1997 (and several other times too) and found it to be such a relief to find the proper place to learn. I remember being so sad on the last day because everyone was allowed to talk that day (and did) and I wanted to keep going on my silent retreat. It was a wonderful experience and it was the first taste or glimpse of what I thought the life of a monk should be like. At my very first course, I felt like I could live this life forever. A seed was planted, and later I followed through with my dream of becoming a monk. Many thanks to the late creator of the courses, S.N. Goenka. I do not think it is 100% perfect, but it is a good place for most people to start their learning of the Dhamma.